aluminum and upvc double head cutting machine. heavy duty cutting machine. can cut more than 7 inch of profile with 2-4 mm thickness in 45 °. fully automatic CNC and semi automatic model is available. 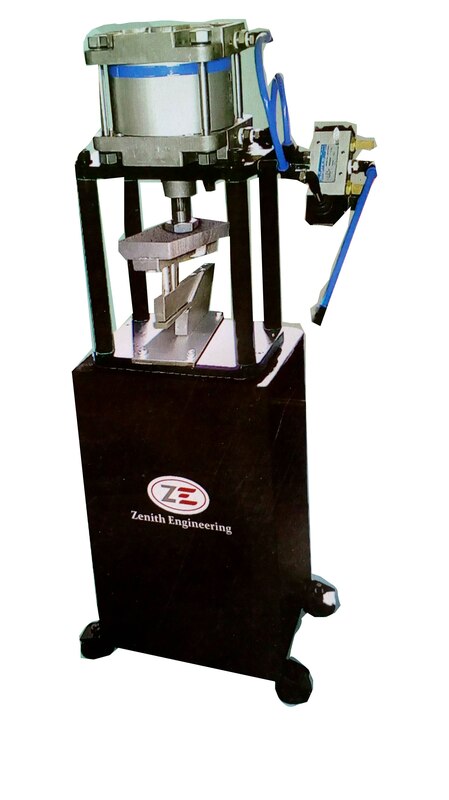 Item Code: ZVH-14 Machine Features: Complete high grade cost iron structure with head and rotatory base. Machine equipped of Siemens electrical kit for best quality performance. Machine equipped with Italian cylinder and lubricant technology. Comply with branded TATA/SKF bearing with machine. Machine tilting position in 45 degree gives highest out upto 6 inch in degree and 10 inch in 90 degree in just 350mm saw blade. Rack fence support with pneumatic clamping cylinder gives optimum grip and best bur free cutting to profiles. Linear motion on tap fitted roller track. Heavy duty machine with 1 year complete warranty accept cutter. Carbide Italian saw blade supplied with machine to ensure quality cutting. Machine supply with cutter and tool kit. Wide range of optional accessories available for the machine like roller track with tape fitted or DRO length quage.